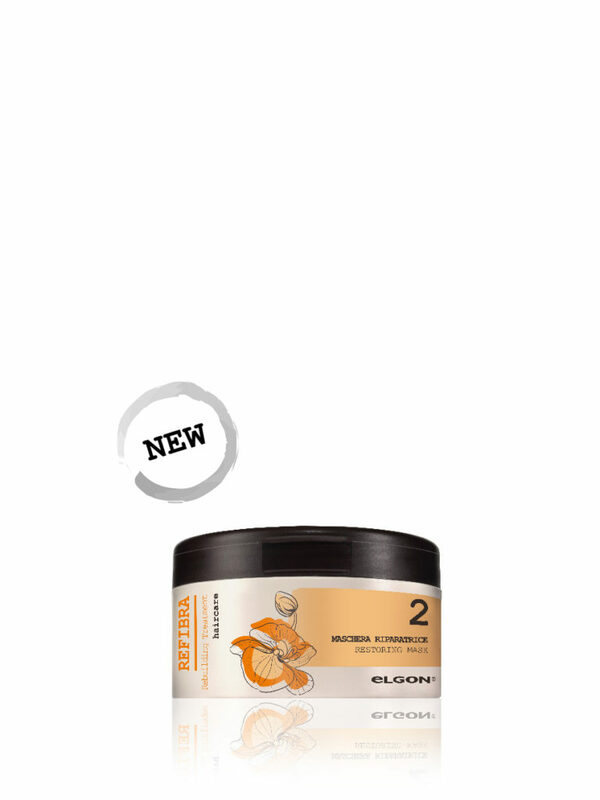 Restoring mask that repairs and deeply nourishes thick, frizzy or demaged hair. Intensely nourish dry, thick, frizzy or damaged hair or any type of hair that needs a particularly nourishing and polishing treatment. 10ml on medium length hair corresponds to about 25 applications for 250ml, 50 for 500ml. Fatty acids: improve combability, making the hair less susceptible to mechanical stress, and add shine. Plant esters: adhere to the surface of the hair to protect against stress and add shine, combability and strangth. Restoring Mask from Refibra haircare line also contains Redoxina 2.0, a complex containing hyaluronic acid and plant keratin that makes the hair stronger, young and healthy, with a time control effect.